Still sparrow, moving fly. 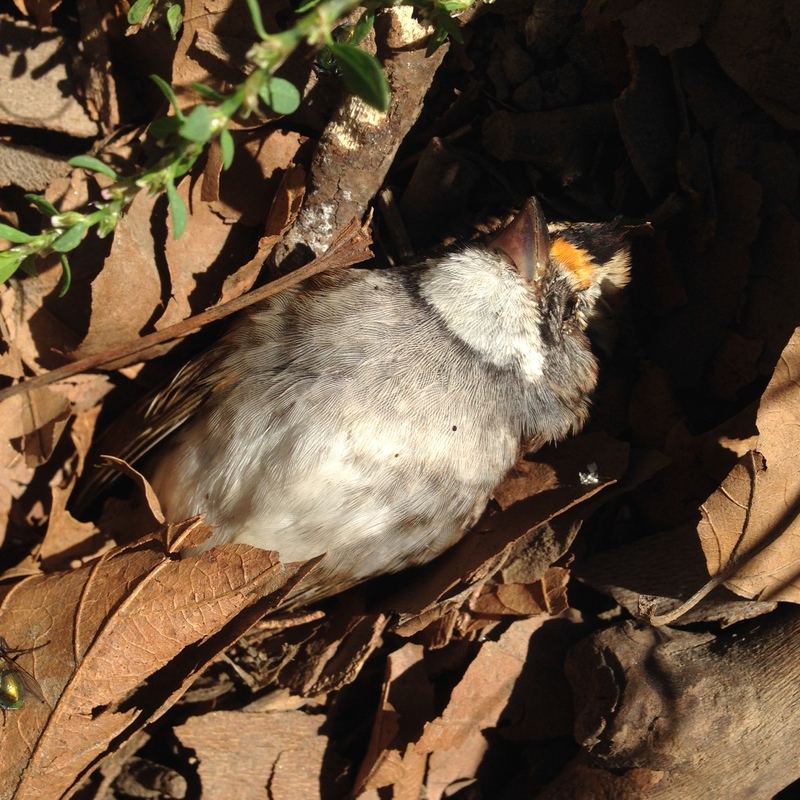 A White-throated Sparrow, no doubt recently arrived from the north. 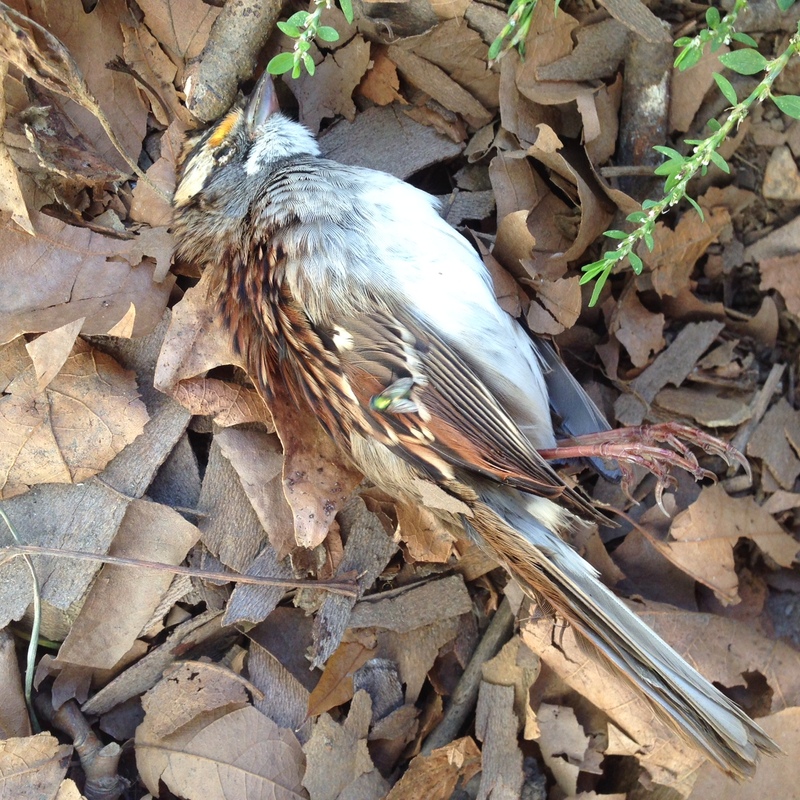 In NYC, dead birds can be reported to NYC Audubon. This database is intended to track window- and building-strikes. This bird was found in the middle of McGolrick Park, but I noted it anyway. It’s All Hallows, the Day of the Dead, a reminder that the old enemy, death, is a part of life. Check out Dark and Stormy Night: The Gothic in Contemporary Art at Lehman College’s Art Gallery. Our friend Zane York is part of the mix. regal in its stillness, beak pointed towards the sky. beam me up.